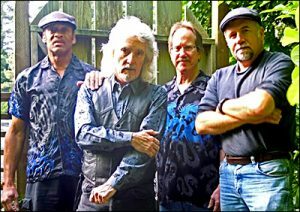 Texas bluesman Ted Vaughn, currently based in Oregon, fronts this group of award winning blues pros with decades of recording and performing under their belts. Hans Bloom of Dalalademokraten in Sweden says, “Ted Vaughn has a voice made for the blues”. The bands raucous, high energy live performances have gained legions of fans worldwide. Individually, the members have shared venues with top artists such as John Fogerty, Timothy B Schmit, Ted Nugent, and blues icon Doug MacLeod. The band has shared stages with artists as varied as Grammy nominated bluesman John Nemeth , pop legend Kenny Loggins and Texas blues masters Smokin’ Joe Kubek. 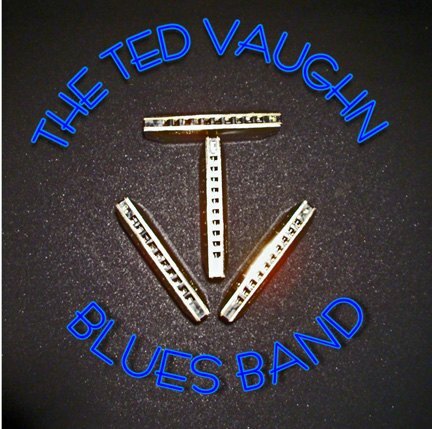 The Ted Vaughn Blues Band has electrified blues lovers at some of the largest festivals in the country, as well as smaller, more intimate venues. D ue to the popularity of their original music, the band was listed as one of the # 10 bands for worldwide airplay on Jango internet radio. 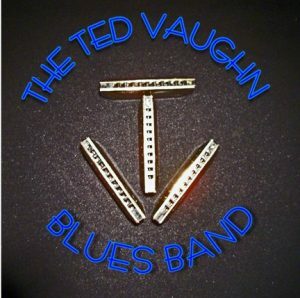 Their long awaited debut CD, “The Ted Vaughn Blues Band”, was released on Harbinger Northwest Records and recorded by the award winning production team of Leon Forrest and Paul Carlsen. It has garnered critical acclaim worldwide and received a nomination for CD Of The Year” by Indie Music Digest. Brand new CD, “It Takes A Man To Play The Blues”, to be released worldwide in October of 2018.